There are different positions involved in creating and maintaining a site in web development. In smaller operations, one person is responsible for multiple positions. In larger operations, each position is dedicated to a specific person. If you’re looking into a career it may help to know the different web developer job descriptions. Look over each of these jobs and have an idea of which, if any, you’d like to focus on. As I said before many times just one person, or a small team handles all these jobs. While it may be more work, learning all the following areas will increase your chances of a good job. There are positions that are a standard in the web development field. The industry is ever changing calling for more and more specialized jobs. Learn about the more prominent ones as they have a more demand in the industry. It is the job of a graphic designer to design headers, logos, buttons, menus, backgrounds, and icons on a website. The designer must have a good understanding of the company’s culture. Knowing how the marketing is changing and colors theory to effectively design. They must have an understanding of the limitations of the web coder. Knowing some basic knowledge of HTML and CSS gives them an advantage. They have an understand on how it will translate to the working website. The job of a web designer is to take the ideas of the client and the work of the graphic designer and turn it into a coherent web design. They may use tools like Adobe Photoshop, Illustrator, or some similar web page design software to create their design. It is importance that they understand some coding. Knowing the limitations of web development will ensure the design can function properly. Once the design work is done a web programmer comes in. A web programmer will have knowledge of different web programming languages. Which can be used with the different styles of web programming, frontend and backend. Backend programming deals with server side code like PHP, Perl, Ruby, or Python. These coding languages integrate with databases like MySQL. This deals will calculations, algorithms, and data entry. Their job is a hard and some times tedious. Some languages can months to years to learn and a lifetime to perfect. A server admin, or administrator, has overall control over the server on and the web hosting performance. Their job is to design and install components on a company’s server and make sure it runs well. This can include a company's actual site, their internal databases, emails, etc. Their job is a challenging and ongoing. One that requires lots of attention to detail and understanding of all elements of web development. This admin must have knowledge of the multiple operating systems. Which include database design and understanding of structured query languages. Their job is often over looked. This is because the only interaction they have with employees is when they create user accounts or when there is a web development question. 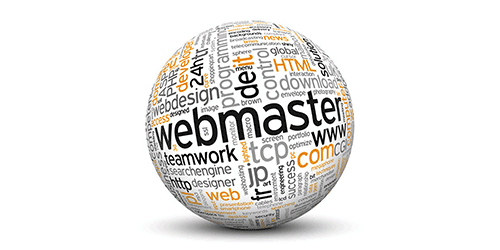 They are one of the single most important and key figures in web development and maintenance. I'm currently working on a project and these descriptions give me a good start. I need to create one for our programming staff we need to bring aboard. Any ideas on how we should describe a PHP Programmer? For me the job of the web designer is to make the dream come true, with the increasing public demand the designer job is become more complex, you can make this job easy by using the latest tools and stay in touch with the latest techniques in this field.